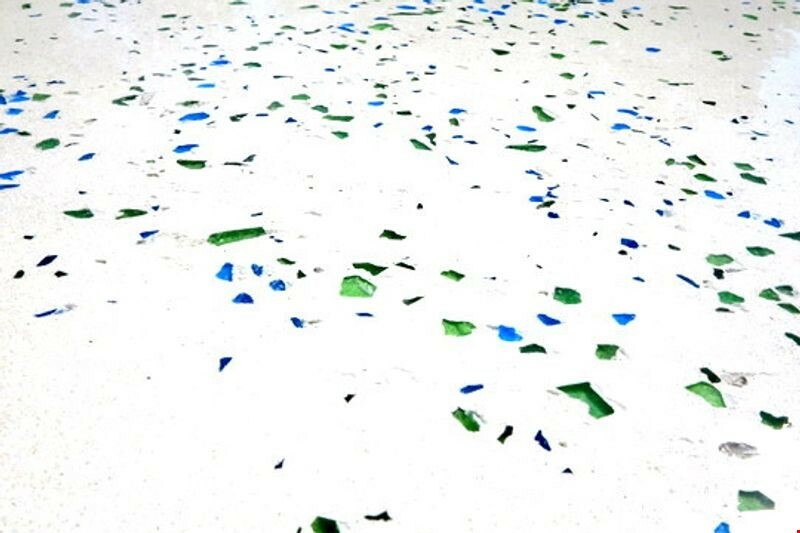 JCconcreator specialises in creating polished concrete countertops for your kitchen. 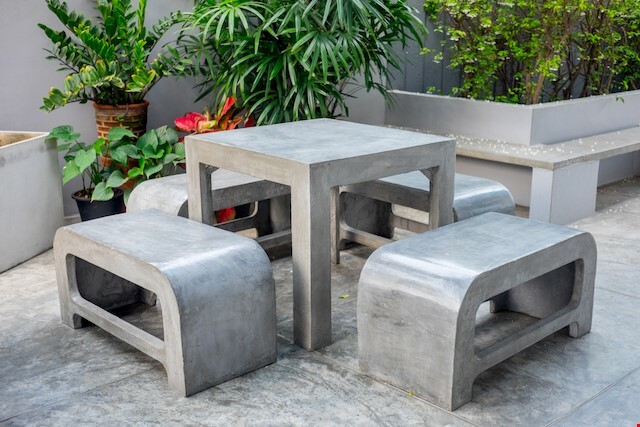 Why not have custom design outdoor furniture for you? 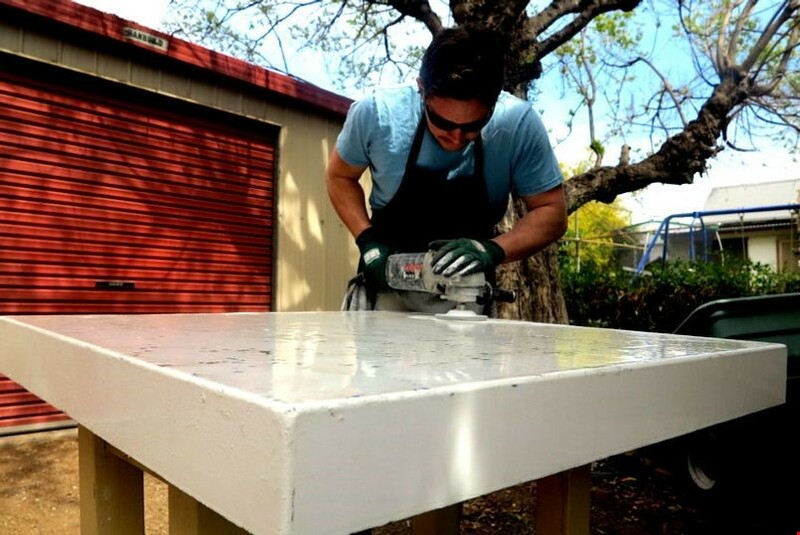 Glass Fibre is the material used for reinforcement in JCconcreators custom made pieces for your indoor or outdoor living areas. JCconcreators place glass fibre within your custom made pieces to ensure the concrete is strong enough to withstand weight and pressure. The combination of glass fibre and concrete works well and the reinforcing material will not degrade easily. GFRC is your choice for indoor and outdoor furniture. Size - Traditional concrete structures are reinforced with steel, a material which requires cover (i.e., a 100mm space) between the steel and the structures surface. GFRC is reinforced with different materials. The application of glass fibre enables your custom made piece to be much thinner. 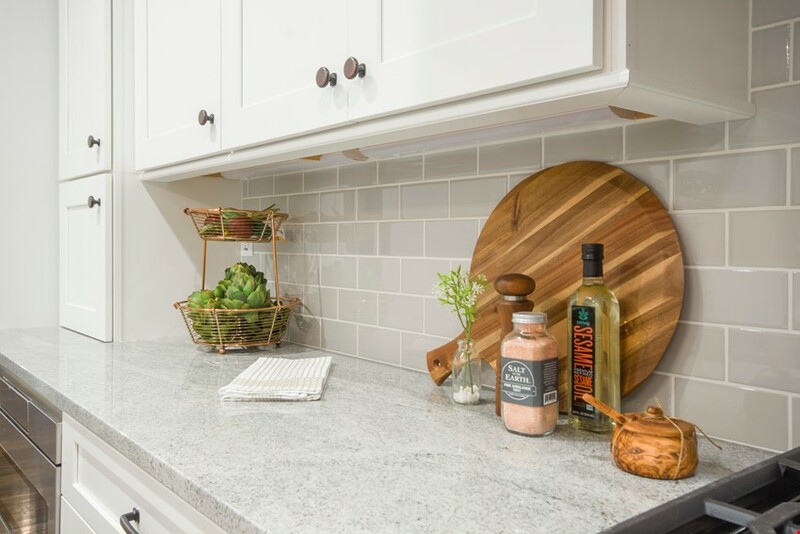 For example, a traditional concrete countertop slab is usually 2 inches thick while your custom made GFRC countertop will only be 1 inch in thickness. Shape and Design – This material is truly versatile because it can be poured into a mould or shaped according to your design. That’s one of the reasons why GFRC is often used in decorative elements, such as sinks, baths or even vases. Call JCconcreator today on 0478 134 233 to discuss the colour, pattern and textures you had in mind for your next piece.